The DICE sound team has been very fortunate with how much knowledge sharing and support that they have received from Skywalker Sound. Over various visits to Skywalker Ranch, members of the team have been able to meet and discuss the sound of Star Wars™, with Star Wars sound design legends Ben Burtt and Matt Wood, and they have also been given access to the original sounds and stems from the films. 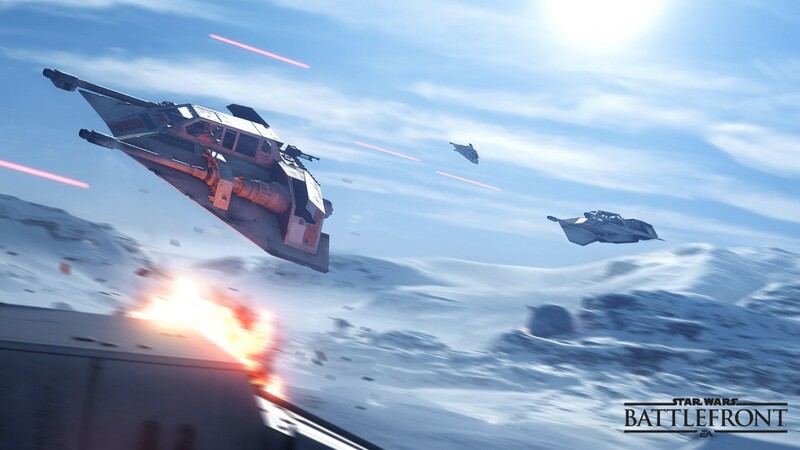 As well as asking how the original sounds were created and the stories and reasoning behind them, the team also brought along Frostbite to demonstrate some of the challenges in creating the audio of Star Wars™ Battlefront™, elaborating on how they would build upon the legacy sounds to fill all of the worlds and experiences that lay ahead. The focus and goal was to embrace the original sounds, staying as true as possible to their original feel and intent. Whilst at Skywalker Ranch, the sound team also recorded Foley sessions with Dennie Thorpe and Jana Vance, to capture audio source material for all the movement and surface interactions in the game, as well as blaster Foley, capes, and other bespoke recordings that goes to make up the unique Star Wars sounds. 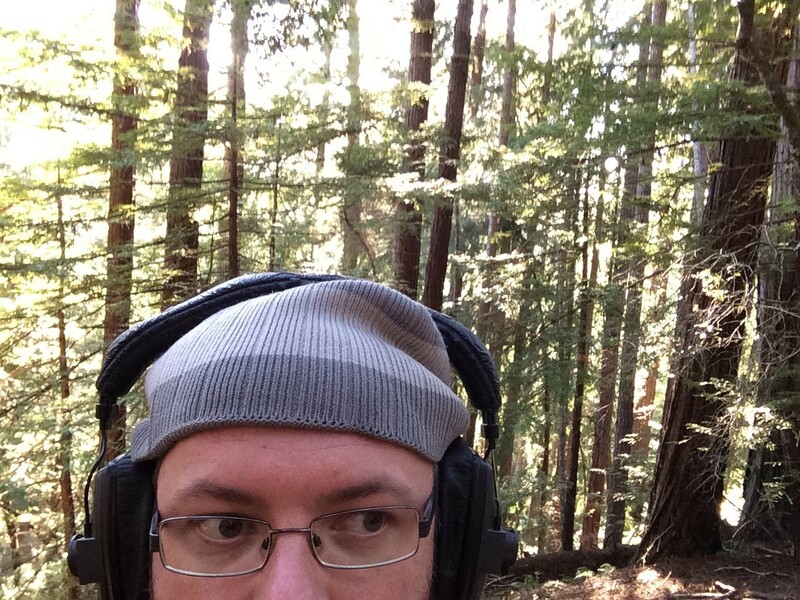 BEN MINTO: What we were really after were recordings of the “air” or the “feel” of the pacific coastal redwoods, which is the location where the forest moon of Endor was filmed. If you can get away from today’s noise pollution, you can experience this very delicate and quiet sound that is something that we strive to add in as a layer when designing ambiences. It really helps to put the player in that specific environment and sell the sensation of being surrounding by those giant trees. We spent two days recording in different reserves, capturing the “air” and other obvious Endor sounds, but also looking at how sounds travel through a forest. Clean, real recordings like these are very useful for us when making quadraphonic ambiences and for adding the right sense of space and life; being there in person and experiencing those surroundings makes it easier when trying to recreate that feel in the studio. The first example, from Portola, is a bed of the “air” but with the bonus of natural trees rubbing squeaks. Typically you would want to record these two sounds separately (which we also did), but this track gives a good guide for how loud the mix in a quiet forest should be – between wind, tree rub squeaks and a distant bird. The second forest example was recorded outside of Lagunitas, and again this is a good and fairly usable source track for how metal impacts travel through the forest. 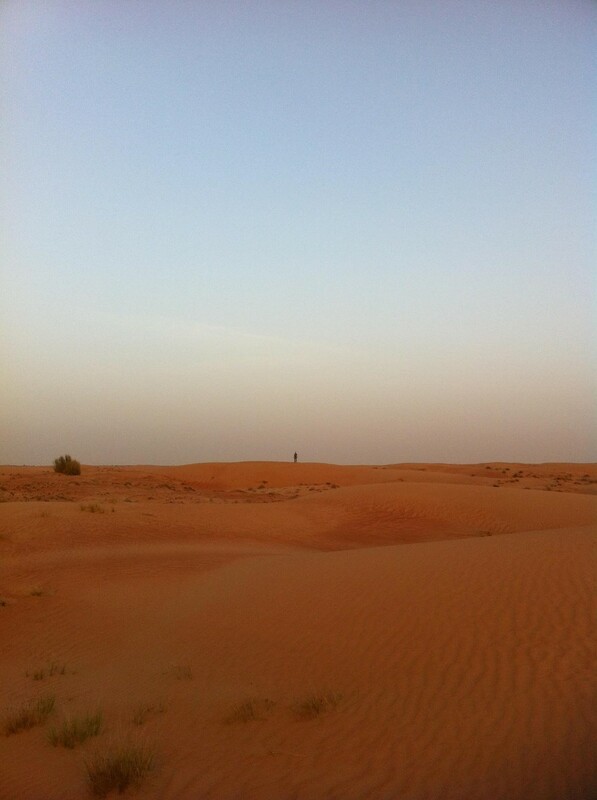 We recorded this from three perspectives, this being the furthest away. This wasn’t the first time I had recorded in these forests. On a previous five day road trip from Seattle to San Francisco down Highway 1 in 2011, I stopped off in each quiet section of forests along the coast to make some recordings, as well as gathering sea lion caves and squeaky piers, amongst other recordings. When making most of these recordings, I didn’t know what I could use them for, but I hoped that one day they would come in handy. In 2013, once I knew we were making a Star Wars title, and also which planets (or moon) we were going to be situated on, I went back through my library to start building my own pool of source material to work with. Recordings previously made without a thought for their final use came into their own. A cold wind through pines in Sweden. A desolate valley at the base of a glacier in Svalbard. Distant gunfire in Finland – a great element for creating an Impulse Response for use at run-time in our reverb plugin. A door gap – on a very windy day, perfect for recording drafts. Sound mirrors – Old listening devices on England’s south coast. 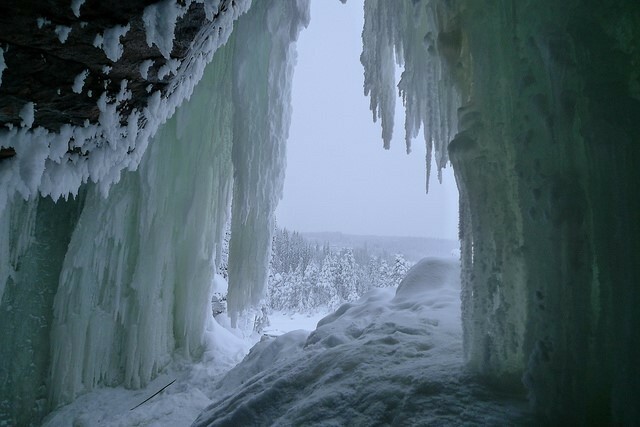 An ice cave – Under a frozen waterfall in Sweden. All useful elements, but they definitely need the classic “mole wind” to sell you on the fantasy of being on Hoth. The spring after Battlefield 3 had shipped, when DICE flew out to Dubai to celebrate for a week, I took along recording gear and was fortunate enough to get right out into the desert. It was very, very quiet and there was little wind, but by finding gaps in dunes that funneled what wind there was and then finding patches of grass in the path of this faint breeze, or in the example below a dry bush, you could make quite a decent Tatooine recording. Together with the material supplied by Skywalker Sound and the DICE library, we had more than enough material to recreate and update the classic ambiences of Endor, Hoth, and Tatooine in Frostbite and also to sympathetically add and expand on these established soundscapes. Sullust was an unexplored planet, and after having grasped some of the ideas, techniques and choices used in the making the original trilogy’s ambiences, it was time to go and collect some new material for Sullust. 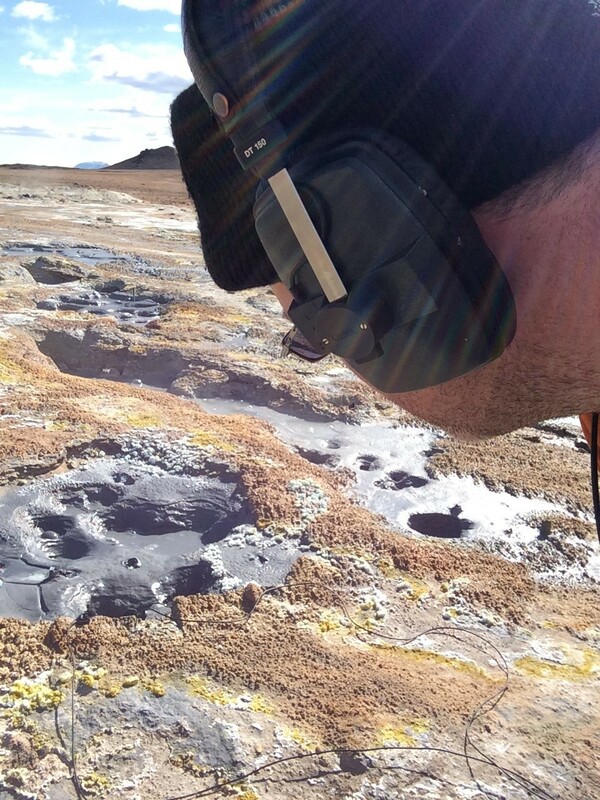 In June 2014, I spent almost two weeks in Iceland recording pretty much everything I could find. As well as material from which to construct ambiences, there were plenty of other sounds that might be useful. Bubbling mud pools were going to be an obvious feature so I spent two nights (in summer there is almost continual daylight in Iceland, so recording after 8PM when the tourists and cars had left for the day was perfect) capturing their sounds and surroundings. The mud pools I recorded happened to be the same location the art team later photo scanned – bonus points for authenticity! There were plenty of unique sounds to capture and whilst not all are Sullustian, they could still be useful. Then, one evening after a whale watching excursion and still with hydrophone in hand, I recorded these shrimp and cod grunts off the pier at Husavik, later used as a layer in the Sullust lava streams ambience. One of the places I stayed at had a faulty beer pump, which to me at first sounded like broken alien Morse code. Layered along with an ultrasound recording of my unborn son, I used it for one of the machine props in the game. 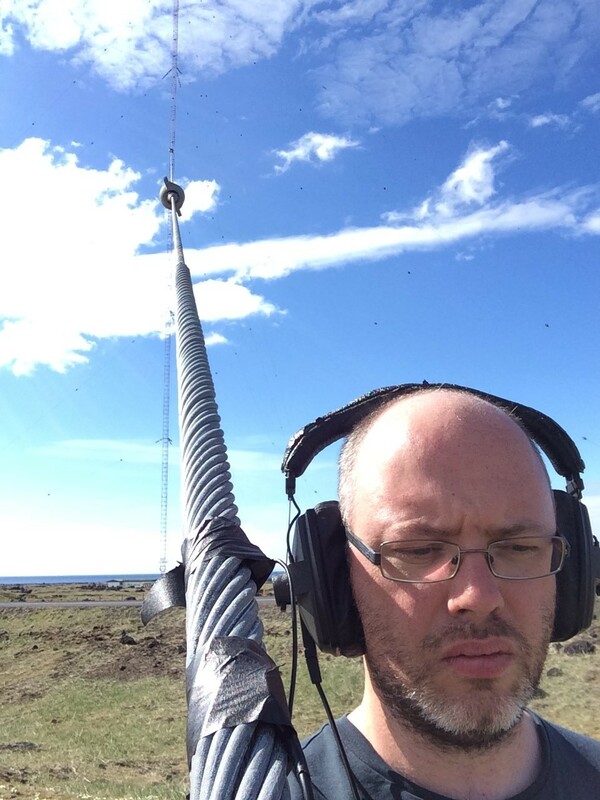 On my last day, I took a 10 hour round trip to visit the longwave radio mast at Hellissandur – the tallest structure in Western Europe – which should also have the longest steel guy-wires in Western Europe. Why travel all that way for just one sound? Well, the original Star Wars blaster sounds were made in a similar way – by banging a guy-wire with a rock or wedding ring. So, in theory this might also produce the biggest blaster ever! I did try to do just so, and recorded some okay and usable results, but the best recordings were of the wire itself singing in the wind. As well as the base ambience for each map, the quest to add life to them has been equally fascinating. 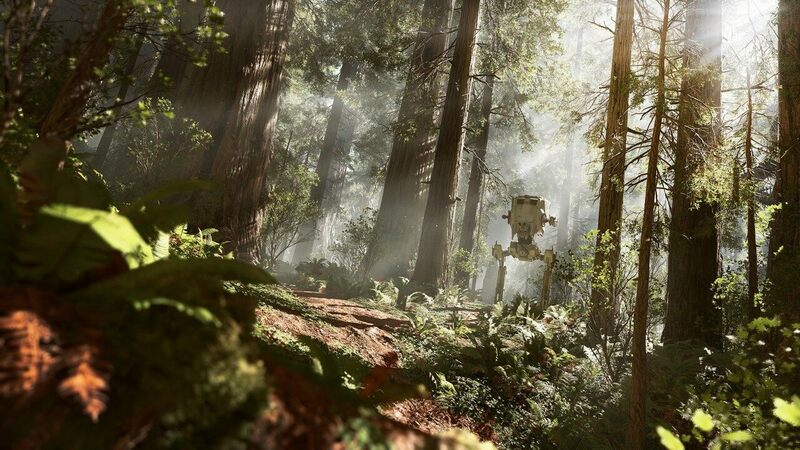 Endor had the richest fauna of the original film locations. By starting with the original ambiences from Star Wars™: Episode VI: Return of the Jedi™ and by editing and using spectral tools, these ambiences could be unwrapped and isolated into their component parts. This is really useful for us as we can have the bed ambience track (this is where the “air” recordings layer is used to add some fidelity and brightness) all around the player, but then we can extract out all the birds, insects, wind gusts etc. and place these in the correct place at runtime. Birds are placed high up in the trees, insects fly past your face and the wind gusts are tied to the visual effects. On a surround setup, you can hear that everything has its place and belongs in that world as you move through it, with all these small tiny audio signposts helping the player orientate and navigate through the world. Birds play a big part in the overall Endor sound, and there was one that took me a bit of investigating to track down. It sounded like a nightjar, or at least in the same family, so I went through all the recordings I had....close but not right. After further investigation it turns out Ben Burtt’s father, Dr. Ben Burrt, recorded a Chuck Wills Widow in 1982 as part of a Brooks Bird Club foray in Hampshire County, and that led me to find out the name of the elusive source bird: Chuck Will’s Widow. Once I had the name, I tracked down a new recording to supplement the original and process it to create some new Endor birds. Understanding how to recreate an existing Endor bird made it easier to then add more birds to the Endor locations that we would be traveling to. Hornbills fit the bill perfectly. The original source reminded me of growing up in Nigeria, but once processed following the Chuck Will’s Widow formula, they took on a life of their own. The original recording from which the next example is based marks the (first) bird call as unknown. I found this whilst looking for nightjars, and whilst it isn’t a nightjar, once pitched down its sounds very alien and “Endor-y,” but still very organic and real. 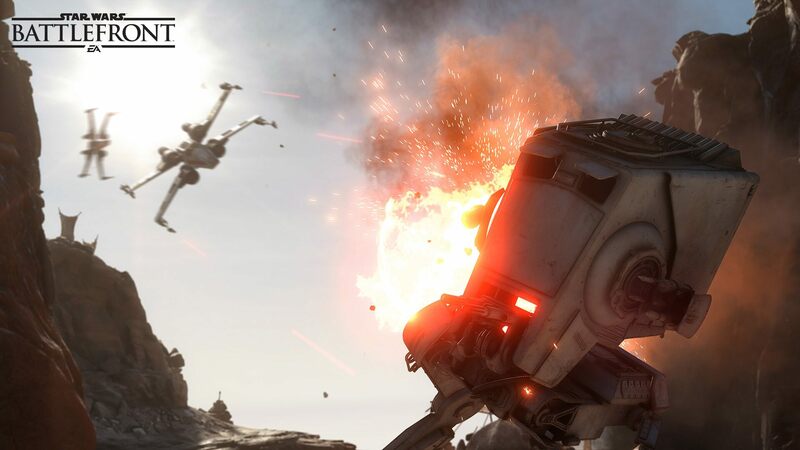 It can be heard clearly at the start of our Star Wars Battlefront Reveal trailer. Whilst looking at the wildlife for each setting, I came up with a simple “colour” classification for each planet (or moon!) and the origins of the inhabitants that are used as source for making the planet’s ecosystem. This equally helps when looking to add to an existing selection or define a new unique ecosystem. The four quadrants above aren’t exact and are more of a guide that an absolute rule. Tatooine, as portrayed in the films, is surprisingly rich in wildlife. It has been visited many times on the big screen throughout our travels within the Star Wars universe, so there is plenty of material to work with and also “seeds” to explore and branch out from. I think I must have listened to over 500 different cicada recordings to find new ones that match the old ones. Hoth is quite barren, but adding distant rayboo (based on wapiti elk recordings) gave wampas something else to hunt apart from tauntauns, in the behind-the-scenes stories that woven into the ambient soundscape. Coastal South America became the abstract container for describing the source for the wildlife found on Sullust. Having a volcanic ridge as its backbone, countries like Chile have a great contrast between its coastal, mountainous and jungle regions, and a diverse range of animals to work from. I stuck mostly with sea mammals and reptiles to give a contrast to the other three quadrants that already existed. These sounds all “exist” before any players enter the level and start making noises of their own. The levels should live and breathe on their own, and the ambient sounds must support these experiences and allow the listener to immerse themselves in these worlds far, far away. If people’s reactions are that the game “sounds just like the films” then we have achieved our goal. Hopefully this gives you a brief look at just a small part of the work that goes into making the sounds of Star Wars Battlefront. The team and I are hard at work and will drop by to give you more behind-the-scenes blogs, delving into the music, unique sound design, implementation and voice over work as we finish up development.